Marslince Carleah Fisher named Valedictorian with near-perfect 5-year academic averages. 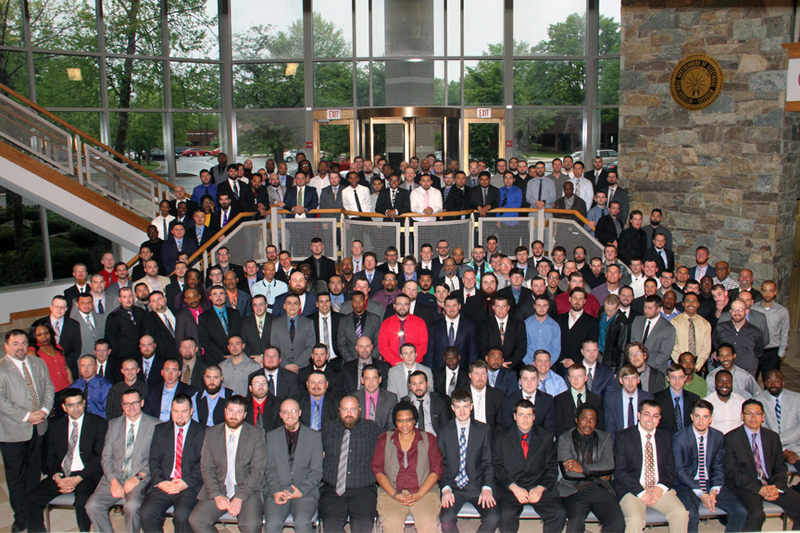 During its 71st graduation ceremony, the Joint Apprenticeship and Training Committee (JATC) celebrated the graduation of 238 apprentices on June 3, 2017 at Martin’s Crosswinds in Greenbelt, MD. The graduates completed a rigorous electrical or telecommunications training programs to become Journeyman Electricians. 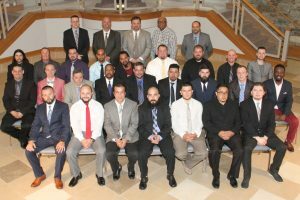 Of the 238 graduates—the most the JATC has graduated in a single year—208 students graduated from the JATC’s five-year Inside Wireman apprenticeship program. Graduates from this program completed over 800 hours of classroom instruction and 8,000 hours of supervised on-the-job training. In addition, one student graduated from the three-year Telecommunications program and became a technician. And lastly, 29 Residential Wireman completed the Residential Upgrade program and were upgraded to Inside Electrical Journeyman. This year’s Inside Wireman valedictorian was Marslince Carleah Fisher who earned a 99.28% academic average over five years. She is the JATC’s first female valedictorian. During the graduation ceremony, Fisher commended the work of the JATC’s dedicated instructors. “I want to express my gratitude to our faculty. They are truly invested in our success as students and electrical professionals. They are passionate about our union and the future of it. They have shared their life and work knowledge with us and we have benefited from their wisdom,” she remarked. Additionally, Marcus K. Powell was the 2017 Telecommunications valedictorian with a 95.1% academic average and Herbert E. Mendoza was the 2017 Residential to Inside Wireman Upgrade valedictorian with a 93.53% academic average. Brian D. Hamilton was the 2017 Inside Wireman salutatorian with a 99.06% academic average and Jorge E. Romero was the 2017 Residential to Inside Wireman Upgrade salutatorian with a 92.78% academic average. In all, 26 inside wireman apprentices earned academic averages of 95% or above. Fisher and her fellow graduates will expect to earn approximately $84,800 a year plus benefits with no student loans to pay off as Journeyman Electricians. Their expertise is in demand on commercial construction projects across the Washington, D.C. region and they have the opportunity to move into other areas such as JATC instruction, project management, or owning their own business. 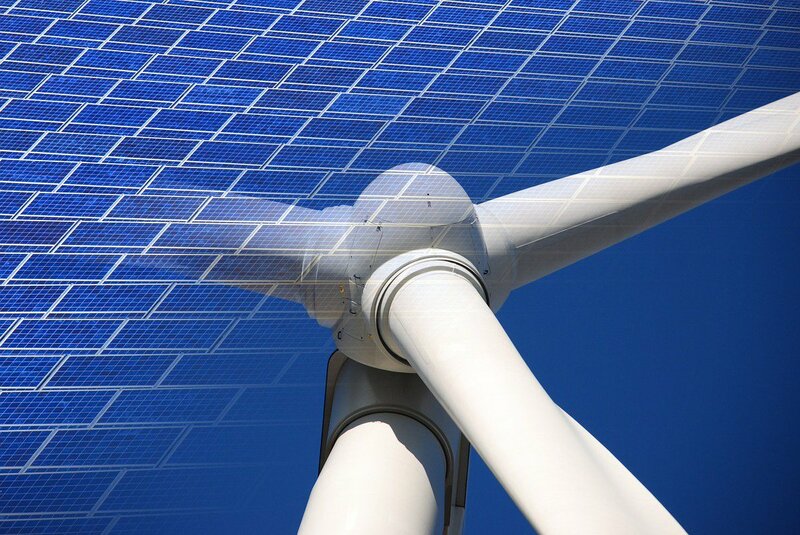 The JATC is sponsored by the Electrical Alliance, a cooperative effort between the Washington, D.C. Chapter of National Electrical Contractors Association (NECA) and the International Brotherhood of Electrical Workers (IBEW), Local 26.